Earlier this month we announced our post-Blizzcon design patch containing changes aimed at improving StarCraft II multiplayer. Around the same time, members of the balance team were in Montreal to solicit feedback from top players in the World Championship Series circuit. Based on the feedback we received from the community as well as pro players, we decided to expand the scope of our initial balance proposal. Below is a rundown. Health/shields decreased from 200/200 to 150/150. We’ve been monitoring proxy Shield Battery strategies over the last few months and while we don’t believe they’re unbeatable, we would like to make this strategy slightly more risky. Reducing their total health pool targets weakening offensive usage while mostly maintaining their defensive power. Specifically, this will reduce the number of Corrosive Biles it takes to destroy them from 7 to 5, which should provide Zerg players a clearer response to the strategy. Pickup range decreased from 6 to 5. Warp Prisms received a ranged pickup in Legacy of the Void, and for the most part, we enjoy how it’s worked out so far. 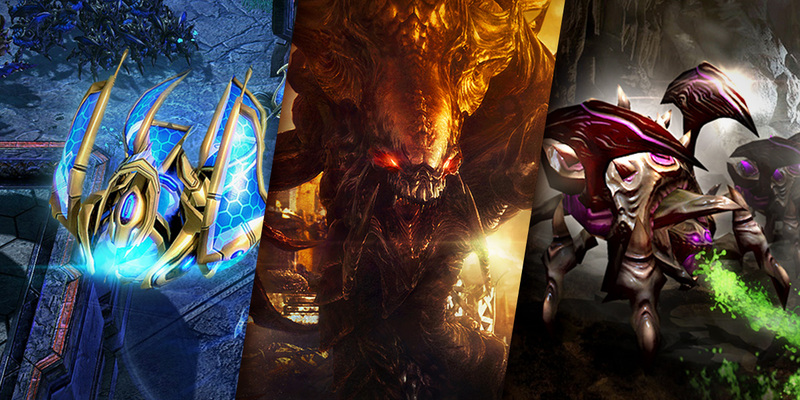 Top Protoss players are able to show off their micro abilities, and it helps promote multipronged offensive options. One area we feel could see some improvement on is the ability for Zerg players ward off Warp Prism/Archon openings. Currently, the combined range of the Prism pickup and the Archon is 9, which outranges the Queen’s anti-air attack by 1. We’d like to reduce pickup range by 1 to allow Queens to interact more meaningfully with Warp Prism play. We believe this change could help open up many different potential Zerg openers, but we’re also mindful of the fact that Protoss players rely heavily on Warp Prism based tactics. Thus, we’ll be keeping an especially close eye on this change. Earlier in Legacy of the Void, we added a speed reduction to Prismatic Alignment to prevent Void Rays from overly punishing enemies fighting them. While we’re still satisfied with the direction we took with this change, we believe that we could achieve similar results by toning the speed reduction back a bit. Transfusion will no longer instantly heal 125 health. Instead, it will instantly heal 75 health and then heal 50 additional health over 7.14 seconds. For Zerg early game, Queens are integral when dealing with light harass and frontal pushes. They also provide a lot of utility with creep spread and their ability to inject larva. We think the Queen might be a bit too “catch-all” of a unit right now, so we’d like to weaken one of these roles. With this change, the heal-over-time portion of the heal will no longer stack, weakening the effectiveness of chaining Transfusions on high HP units such as other Queens. Our goal with this change is to push players towards building combat units when facing dedicated aggression while maintaining the Queen’s strength against light harass. Additionally, this reduces the late game power of Queens by lowering the efficiency of rapid Transfusions on units like Ultralisks and Brood Lords. Building/Creep Tumor creep generation: Time between creep growth periods increased from 0.3 to 0.45. Overlord Generate Creep: Time between creep growth periods increased from 0.36 to 0.45. In the transition from Heart of the Swarm to Legacy of the Void, the Creep growth period was cut in half, from 0.6 to 0.3, to account for other changes made during that period. While this doesn’t practically translate into Creep spreading twice as fast, it has certainly had an effect on Zerg players’ ability to control the map. More recently, after much refinement on the part of Zerg players, we began receiving feedback that Creep spread might be too oppressive, allowing Zerg to control large portions of the map leading into the mid to late game. To help mitigate this, we’d like to experiment with Creep spread rate, initially by adjusting to a rate that’s halfway between the current live value and the value from Heart of the Swarm. As Creep spread is core to Zerg identity, we’ll be paying close attention to the results of this change. Tunneling Claws no longer increases the health regeneration of burrowed Roaches from 7 HP/second to 14 HP/second. In the Zerg vs. Zerg matchup, we see a lot of Tunneling Claws Roaches used to harass mineral lines. While we enjoy both the harass and comeback potential that this ability affords Zerg players, we’ve received a lot of feedback from Zerg players that it might be too good in this role. Because of the high health regeneration with the Tunneling Claws upgrade, it can take over twice the number of defensive Roaches to dislodge harassing Roaches. In other matchups Tunneling Claws is not seen nearly as much. And when it is used, the moving-while-burrowed functionality is more valued over the additional health regeneration. This set of changes is aimed towards slightly tuning down Roach harass in mirror matches while increasing its potency in other matchups. Health increased from 85 to 90. Needle Spines weapon speed changed from 0.54 to 0.57. We received feedback from players of all races at Montreal that they’d rather see an attack speed nerf to Hydralisks as opposed to a health nerf. By reducing attack speed instead of health, we can reduce how deadly the Hydralisk is in large armies making it less of an “all-around” unit, while still maintaining its ability to fight units like Oracles cost effectively. Maintaining the higher health also allows Hydralisks to have more back-and-forth interactions with threats like Psionic Storm. We’ve heard a lot of feedback that Infestors feel clunky to use so we’d like to make a few tweaks to improve their usability. We’d also like to give Fungal Growth some more utility by restoring some of its old functionality, allowing it to prevent certain movement abilities. Nydus Network cost decreased from 200/250 to 150/150. We received feedback that while many players like the direction of the new Nydus Network, the initial cost might be a bit too high and Nydus all-ins are sufficiently weakened now that the Worm is no longer invulnerable when tunneling. Because we’re also testing tuning back the Queen’s Transfusion ability in the same update, we’d like to see how far we can go with a Nydus Network cost reduction. This is certainly one of the more experimental changes that we’d like to try out, so we’ll be watching closely to how it plays out. Fixed an issue the caused the attack animation of the Colossus to desync when exiting a transport. The ATA attack will now deal 5 damage instead of 8. Will no longer be able to use its normal attack when using an ability. Fixed a typo in the Raven’s Anti-Armor Missile description. These changes will be published to the Testing Matchmaking Queue shortly. As always, we’d like to reiterate that these changes are not final, and we’ll be actively looking at your feedback. Thanks for trying out the new changes and please let us know what you think on the forums or any community sites!